Mumbai Monorail is a public transport in Mumbai, the capital of Maharashtra. This is a rail-based transportation system based on a single rail. It’s running between Wadala (a station on the Harbour Line of Mumbai’s railway network) and Chembur (a suburb in eastern Mumbai) in the financial capital of India. Remarkably it was opened for general public service on 2 February 2014. With this it become the first monorail system in India. This, Mumbai Monorail, is the first monrail in India after Independence. While the first were the Kundala Valley Railways and Patiala state Monorail Trainways. Both were closed in the 1920s. The construction of Mumbai Monorail was begun in January 2009. Its first operational line was inaugurated on February 1, 2014. 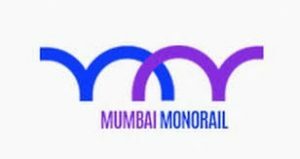 The monorail system in Mumbai is owned by the Mumbai Metropolitan Region Development Authority (MMRDA), a body of the Government of Maharashtra dedicatedly engaged to the infrastructure development in the Mumbai Metropolitan Region. It was a joint group of Larsen (a Mumbai based conglomerate) & Toubro and Scomi Engineering (a malaysian based infrastructure firm) along with MMRDA. This is Monorail Line No. 1. It will operate 18 stations in covering a stretch of 19.54kms. These en route stations are namely Wadala, GTB Nagar, Antop Hill, Acharya Atre Nagar, Wadala Bridge, Dadar, Naigaon, Ambedkar Nagar, Mint Colony, Lower Parel, Chinchpokli, Jacob Circle and Chembur. The Mumbai Monorail will use 4 coaches. Each has a capacity of carrying 568 commuters. Initially only six number of vehicles will be used, but it is expected to increase its vehicle number later with growing demand. It is estimated to reach up to 125,000 ridership daily. Its average speed will be 65 kilometres per hour (40 mph). Overall cost spent on Mumbai Monorail Line No. 1 is Rs. 27.16 billion. For its service, passengers have to pay from Rs. 5 to Rs. 11 maximally. 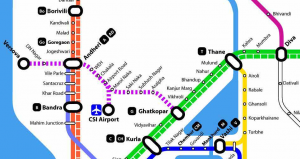 Versova-Andheri-Ghatkopar corridor is 11.40 km elevated corridor. It provided connectivity of Eastern & Western suburbs to Western & Central Railway. Facilitates smooth and efficient interchange between suburban rail system and MRT System at Andheri and Ghatkopar Stations. Reduced the Journey time from 71 minutes to 21 minutes, between Versova and Ghatkopar. Provide rail based access to the MIDC, SEEPZ and commercial developments. Metro Line 4 from Wadala to Kasarvadavali is 32.32 km. long elevated corridor with 32 stations. It shall provide interconnectivity among the existing Eastern Express Roadway, Central Railway, Mono Rail, the ongoing Metro Line 2B (D N Nagar to Mandale), and the proposed Metro Line 5 (Thane to Kalyan), Metro Line 6 (Swami Samarth Nagar to Vikhroli) & Metro Line 8 (Wadala to General Post Office). Dedicated Depots are planned in Owale land in up to an extent of 20 Ha. and in Godrej Land in up to 15.50 Ha. Area. Metro Line 7 from Andheri (E) to Dahisar (E) is 16.475 km. long elevated corridor with 13 stations. It shall provide interconnectivity among the existing Western Express Highway, Western Railway, Metro Line 1 (Ghatkopar to Versova), the ongoing Metro Line 2A (Dahisar to D N Nagar) and the proposed Metro Line 6 (Swami Samarth Nagar to Vikhroli). It shall facilitate smooth and efficient interchange with the suburban rail system and MRT system at Andheri, JVLR and Dahisar. It shall provide connectivity between the Central Mumbai and the Northern suburban Mumbai. It shall provide rail based access to the Mumbai International Airport (CSIA), SEEPZ, National Park and other commercial and geographical landmarks. Dedicated Depot is planned at Dahisar in an extent of 15 Ha.